Hello! 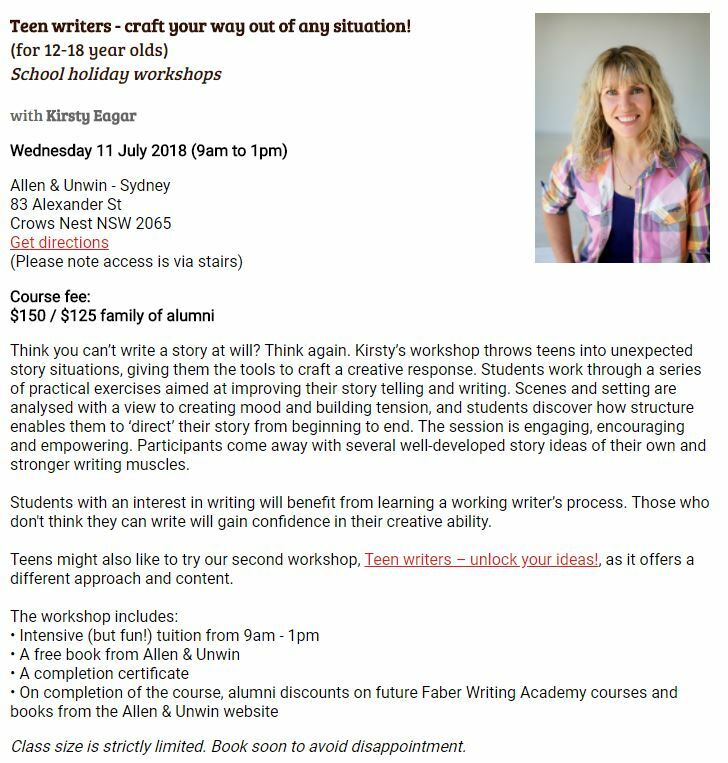 I’m going to be hosting two writing workshops for teens at the Sydney branch of The Faber Academy in the July school holidays. Faber have been fantastic in trying to keep the cost down while delivering MAXIMUM value for participants. Teens can do one workshop, or the other, or both. Each workshop offers a different approach to story and writing, so there’s no crossover. 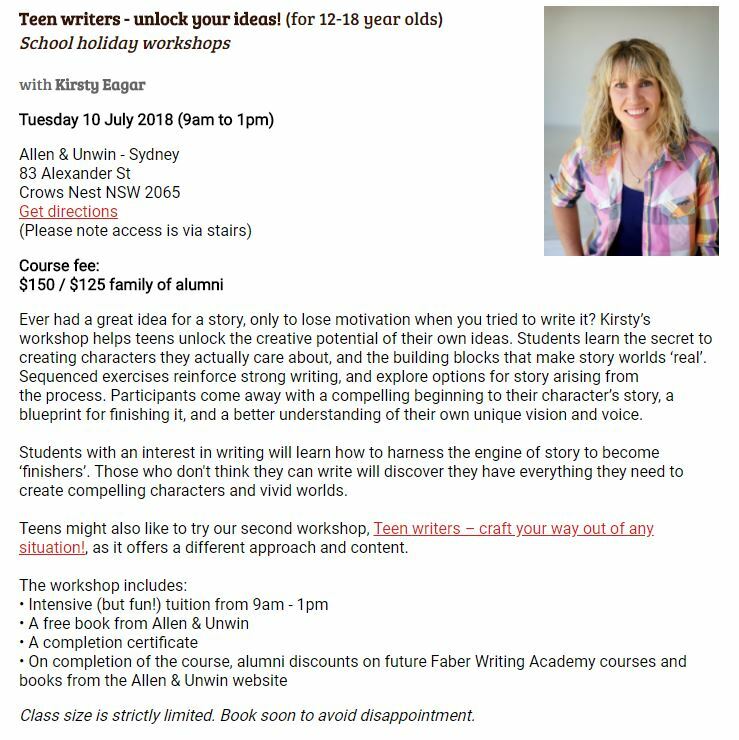 These are workshops that would suit teens who love to read and write, obviously, but teens who don’t think they can write will enjoy them too. That’s very important to me – I love people being surprised by their own creative ability. It has to be doable, and they have to come away feeling empowered. Okay, I’ve popped a pic of the details in below, but please visit The Faber Academy’s website for more info. Summer surf	Amelia Westlake! Invitation! For you!